Three generations of listeners have been turned on to the music of mystic singer/songwriter Terry Callier. During the 1960s, concerts at the "Bitter End" New York, made him a leading figure in the early folk boom. 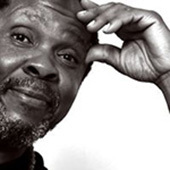 In the 1970s, recordings for Chess/Cadet crystallised his style - a unique brand of soul, folk, jazz and a deeply moving poetry. There is a great deal of mystery surrounding the life history of Whale Sharks due to the difficulty in studying them. Modzilla Films will follow the migration ways of these fascinating animals, visiting stunning sites worldwide and talking to oceanographers around the globe. Shooting starts autumn 2012. This new Modzilla Films production sheds light on the shocking long term effects of the oil spill in the Golf of Mexico. One year after the Deepwater Horizon oil spill in the Gulf of Mexico, US research vessel ‘Atlantis’ carrying submersible ‘Alvin’ embarks on an historic journey. Seven miles northeast of the targeted research area, a gigantic explosion took place in April 2010, causing 750 million litres of crude oil to flow into the ocean. Since then, the urgent question remained: "Where is the Deepwater Horizon Oil?" Unlike reports being published by BP and the US Government, the oil has not disappeared - on the contrary. 'Alvin' goes down to the bottom of the sea to discover the oil and its effect on the maritime ecosystem. The film accompanies the scientists on an exceptional research, following the trace of the oil up to the coast of Louisiana where residents and fisheries are still being haunted by the massive effect of the oil spill, the spraying of the toxic dispersant Corexit and the alarming cover up initiated by BP. With exclusive access to research vessels and providing stunning HD underwater footage, this program gives insight in what has been hidden up til now. We have only just started to see the real impact of the oil spill. Modzilla Films is also producing a 52' (& 90') HD documentary film about the deep sea in co-production with Canamedia, Toronto for international TV release. Until fairly recently, mankind’s ability to explore the deep sea has been extremely limited. However, with the rapidly growing face of technology that we’ve experienced over the last century, we are now capable of observing deep sea life like never before. For the first time, a documentary film takes a look upon the different aspects of the deep sea research and intertwines them. modzilla films is also developing a five part TV-series for channel arte, covering various 'Legendary Music Clubs' in Europe and the USA. The production is scheduled to be filmed in 2011/2012 and broadcasted in 2012.